Where does all the money in your bank account go? You could swear you didn't spend your whole paycheck in just a couple of weeks! Maybe these unique return address labels have the answer. They feature four greedy beasts that gobble up greenbacks like potato chips and pretzels! 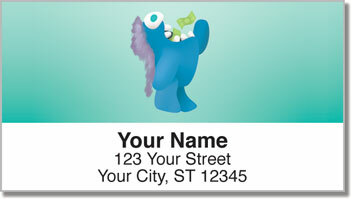 It's a funny finishing touch for every envelope you send to pay the mortgage, phone bill, utility bill and all the rest. 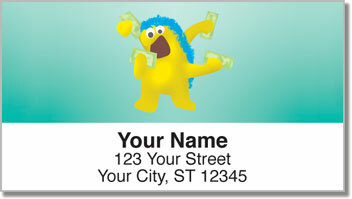 Money Monster Address Labels from CheckAdvantage are not only hilarious, they're also quite handy. Use them to cut back on the time it takes to prepare your outgoing mail. 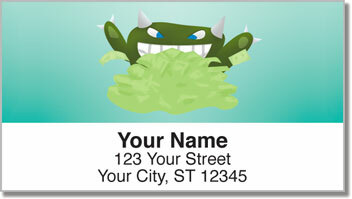 Just peel and place your new labels thanks to a self-adhesive backing! 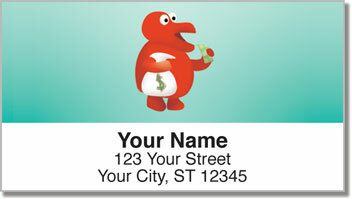 Order your own Money Monster Address Labels now! You can also get matching personal checks!